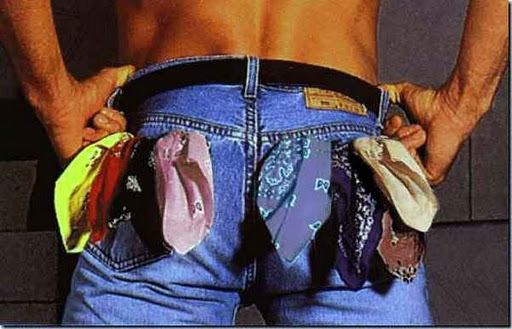 The Hanky Code is a traditional form of signaling to others what your sexual preferences and interests are. 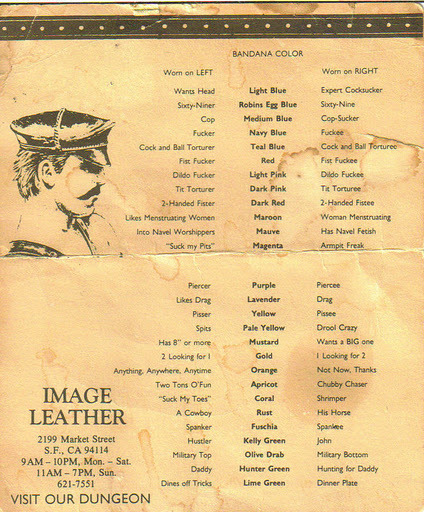 Gay/Bisexual men widely used this code in the 1970’s thru the early 1990’s to communicate with each other in Leather and regular gay bars. Although not as widely used these days, it is still a worthwhile resource and is, among those who know, a great conversation starter. 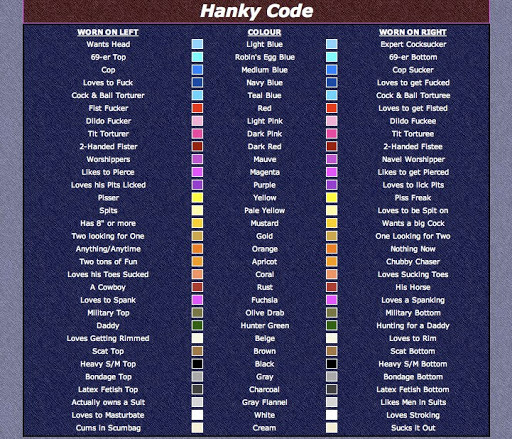 For a complete list of the Hanky Code, click here oor here!